Derrick Alston hanged up the sneakers at 40 years old despite an amazing career in NBA and overseas (Turkey, Spain, France and Argentina). Now he will work as a player development manager in Houston Rockets. Alston played for 18 years, eight of them in the ACB and the last four in the Argentine Liga Nacional (LNB), where he retired in Boca Juniors with 40 years old. He decided to accept an offer from Houston Rockets to work as a players development manager. Alston was chosen in the 1994 NBA Draft with the 33rd pick by Philadelpha 76ers. He played three seasons in the NBA (with the Sixers and Atlanta Hawks) with discrete numbers (139 games, 751 pts and 526 rebs). Later he went to Turkey where he obtained the Turkish League title with Efes Pilsen (14 games, 187 pts), and later to Spain, where he played the most part of his career and consolidated also as a tough center and an amazing shot blocker (301 games played in Manresa, Barcelona, Valencia and Real Madrid, 4398 pts, 2187 rebounds and 456 blocks). 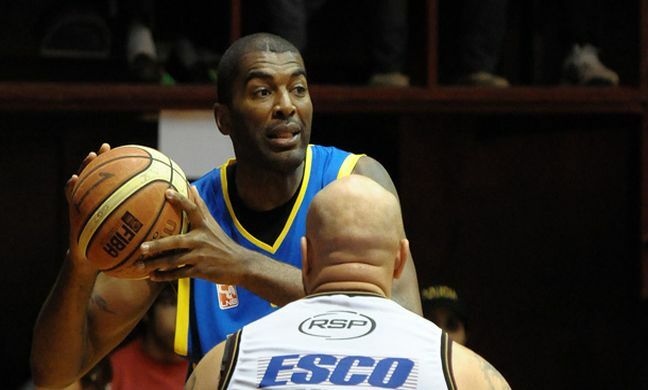 His last four years spent in Argentina's LNB, where he played in Libertad Sunchales, Ol�mpico La Banda, La Uni�n Formosa and his last season in Boca Juniors (167 games, 1924 pts, 1025 rebounds and 183 blocks). He also had stints in Australian NBL and Croatia (KK Split).